Now there’s a better option for towing services. 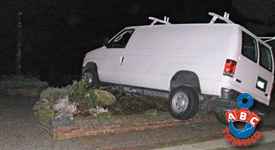 ABC Towing is your Alki towing experts. Your employees, vendors and customers need parking to do business with you. Sometimes they can be impeded by illegal parkers. Keep their spaces open with help from the Alki towing experts. Do you have parking violators on a regular basis? It may be time to get towing signs. ABC Towing will make and install towing signs. Your special parking spots will be better protected. If it snows we can remove cars piled up in your lots. And we can tow cars stuck along your roads. Either way you’ll get Alki towing service you can count on. Since you’re watching company dollars we’re also affordable. For all your towing needs, contact ABC Towing. When you need vehicles impounded from your business, we’re standing by. Impounding service from ABC Towing is quick and affordable. Just give us your location and vehicle information. We’ll come out and pick it up. Is there more than one vehicle needing impounding? We can dispatch 2 or more tow trucks for you. 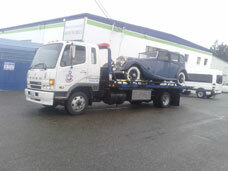 Vehicles can be impounded and taken to our tow yard in Seattle. ABC Towing impounds abandoned vehicles. Some drivers can overstay their welcome. They may stay parked in parking areas with time limits. These areas are typically found on side streets. Your corporate parking lots can’t afford to have constant parking violators. Clear up this problem with towing for Alki parking violations. If drivers are overstaying their welcome we can remove them. Towing for parking violations in Alki is done the day you call. Our tow operators will also come out at night to complete a tow. Remember we can install towing signs for your business. We arrive on time and do a complete job. You’ll have your parking spaces back in no time.